A day after a whole day fairy adventure in Disneyland Hong Kong we then set an early start for our second day at the Ocean Park Hong Kong where "Ying Ying" and "Le Le" - the famous Giant Pandas reside. 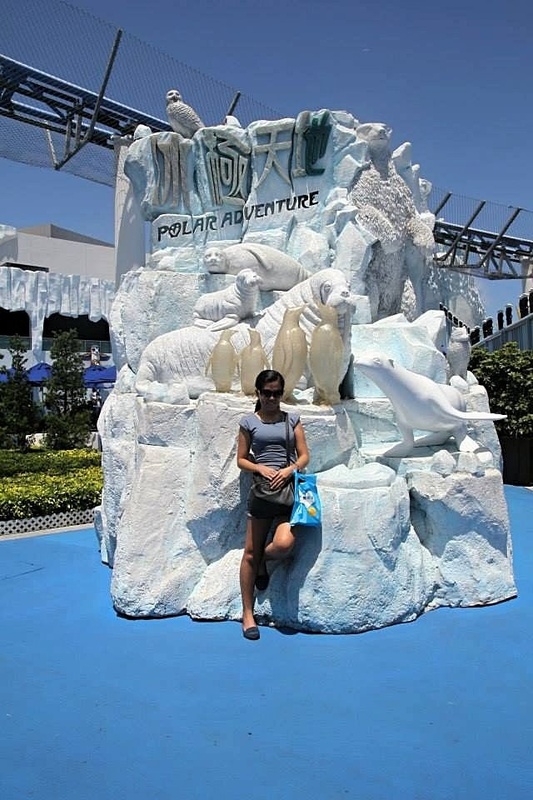 Let me look back that travel and uncover the One of a Kind Marine Life Adventure in Ocean Park Hong Kong. 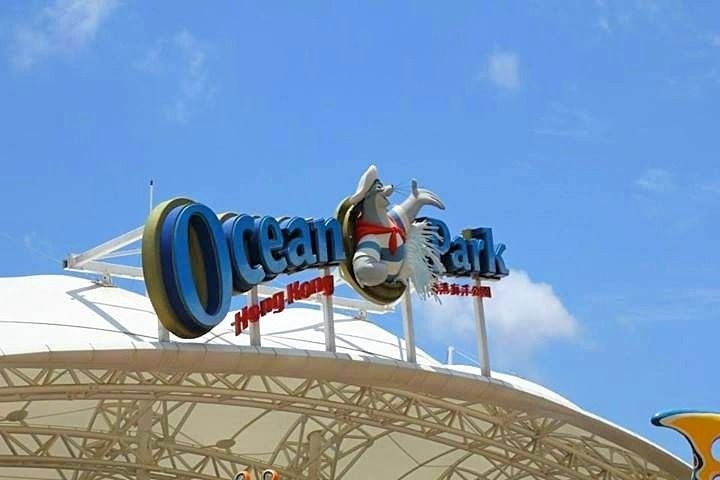 A huge welcome signage atop the canopy just right before the main gate of Ocean Park - Hong Kong will greet all the guests as they set foot in one of a kind amusement park, animal theme park, oceanarium, and a marine-mammal park rolled in one area. With an approximate combined land area of 174 football fields, no wonder it's the largest theme park in Asia and ranked 13th as the most visited theme park in the world. A mountain divides the park into two major attraction parts: The Summit (Headland) and the Waterfront (Lowland). The two attraction parts are reachable by a Cable Car System or by the Ocean Express funicular railway. Under the divisions of the park are eight subdivided attraction zones that distributed accordingly. Here is a video from hkmytravel for the Cable Car System that connects the two major attraction parts in Ocean Park Hong Kong. This ride is from the Waterfront Cable Car Station going to the Summit Cable Car Station. Just to give you an idea of how the Ocean Park was divided into two attraction areas. The Summit is formerly known as the HEADLANDS and the Amusement Section of the Ocean Park that sits on top of an adjoining mountain and levels out to a few hills that holds all the thrill rides, fantastic 360-degree view of the islands, the Aberdeen Harbour view from the Ocean Park Tower, and other step-like landform views from the second longest escalator in Hong Kong. 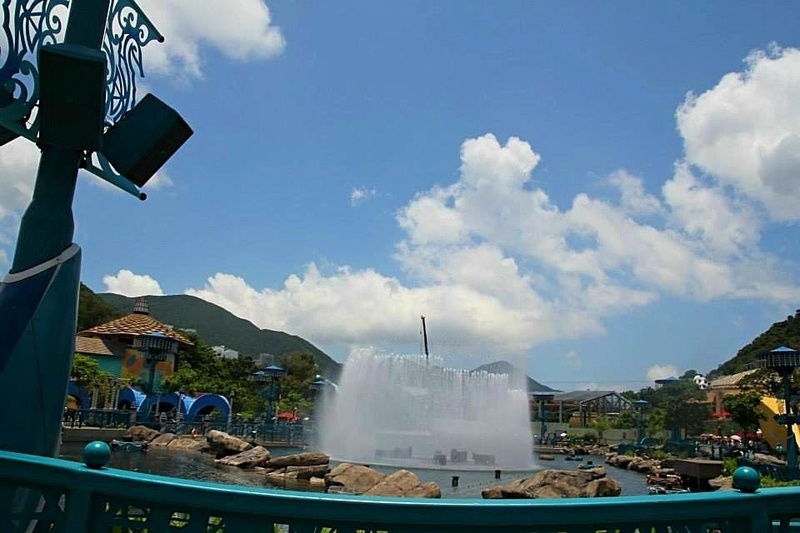 One example is shown in the above photo which was taken at the Marine World attraction zone where three of the thrill rides can be seen. From the left is the most common ride - the Ferris Wheel. The two bar towers at the center of the photo are the Abyss ride and at the back the Dragon ride in an obvious dragon shape rails. Previously known as the LOWLANDS located near the entrance of the Ocean Park and considered as the crowning glory of the park where three precious gems are in possession. One of which is the Giant Pandas - "Ying Ying" and "Le Le", with the Red Pandas, the Grand Aquarium, and the Amazing Asian Animals. You can also find the Whisker's Harbour for toddlers and kids play area. The attached photo is the Aqua City Lagoon on daylight but will transform into a spectacular show after dark with pyrotechnics, water, fire, music, and animation that tells the tale of a human to Earth relationship while conveying a message on how to protect the planet and our responsibility. I will split up this blog as per Summit attraction and Waterfront attraction. Take note though that photo attachments of the attraction zones are based on what I explored. 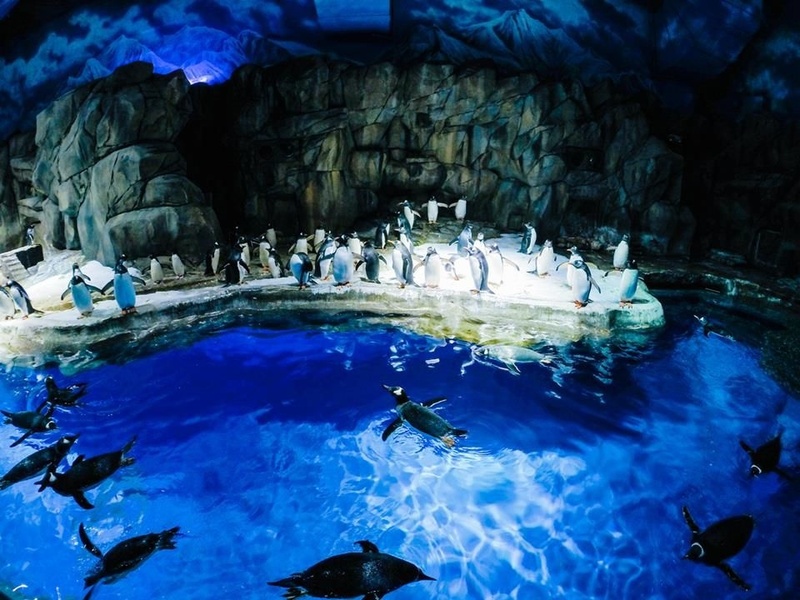 This article will be the first part of Ocean Park Hong Kong - One of a Kind Marine Life Adventure in the Summit attraction part. There are five major attraction zones under the Summit attraction part excluding the two stations. 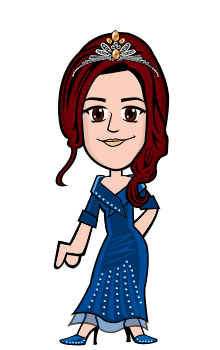 I will only be attaching photos of the attractions that I've experienced or explored and will state the names of the rest of the unexplored attractions. Starting off in the most chilled part of the Summit - the Polar Adventure. The first exploration we made in the Summit is the Polar Adventure. As you can see in the photo and from the word itself "Polar" what comes to mind are the words cold, freezing, icy, glacial, and chilly. Indeed it was freaking cold zone for someone like me who have a low skin temperature. Bringing a jacket would be an advantage in exploring the Polar Adventure zone. There are four adventures that you can choose from in the Polar Adventure zone. Among the four there is only one attraction that we manage to explore and that is the South Pole Spectacular because of the unbearable coldness of 8-10°C. I can hardly tell which among the Penguins in the viewing chambers (as shown in above photo) are the King Penguins (2nd largest Penguin in the world), the Southern Rockhopper Penguins (white-bonneted and the smallest Penguins in the world), and the Gentoo Penguins that has an unusual eye color. Aside from the unbearable coldness, two of the attractions - the North Pole Encounter and Arctic Fox Den were still closed when we got there. ► REV BOOSTER - it's a candy-colored ride that looks like in a circus that rocks in a to and fro motion in three levels. ► THE FLASH - a ride that will whisk you into the air in 22m high and spins you around so fast just like a flash. → I enjoyed one of the rides here in Rainforest which is The Rapids and same goes with the Raging River - no photos to show. This ride is best for family rides where guests fastened themselves in the round raft while cruising the rushing river that will take you to dark zones and on wavy terrains. The difference for this Rapids as I compare it to Singapore Rapids are the water guns that are hidden from overhanging bridges with a sudden attack on the guests surprisingly. The other ride is the Expedition Trail - a walkthrough exhibit of the rainforest where guest can meet up some tropical species such as green anaconda, green aracari, capybara, and kinkajou. → Though this was excluded in the attraction list as mentioned above, I would like to consider it as one of the major attractions of the Summit. Apart from being a transporter of the guests, this also serves as an observatory deck of the South China Sea and the neighboring islands. It's a four-minute ride from the two Cable Car Stations. 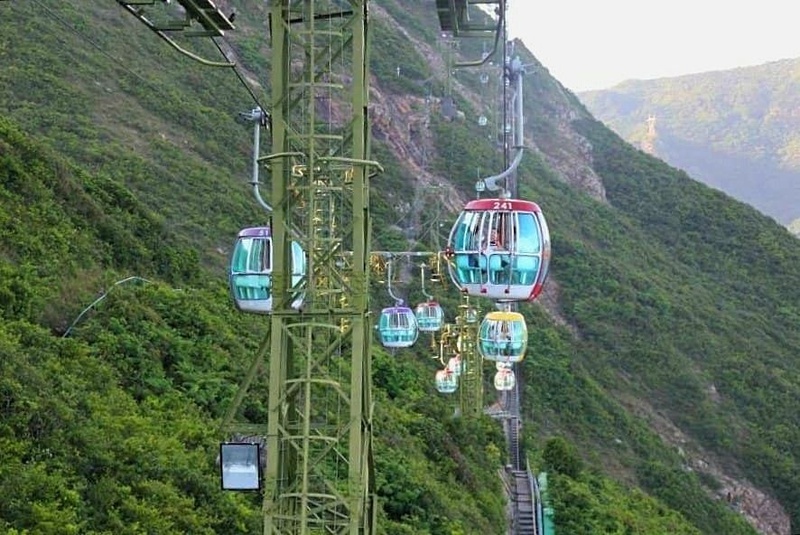 The Cable Car is what connects the two major attraction parts of the Ocean Park apart from the Ocean Express in terms of transporting guests from the ground (Waterfront) to the peak (Summit) or vice versa. 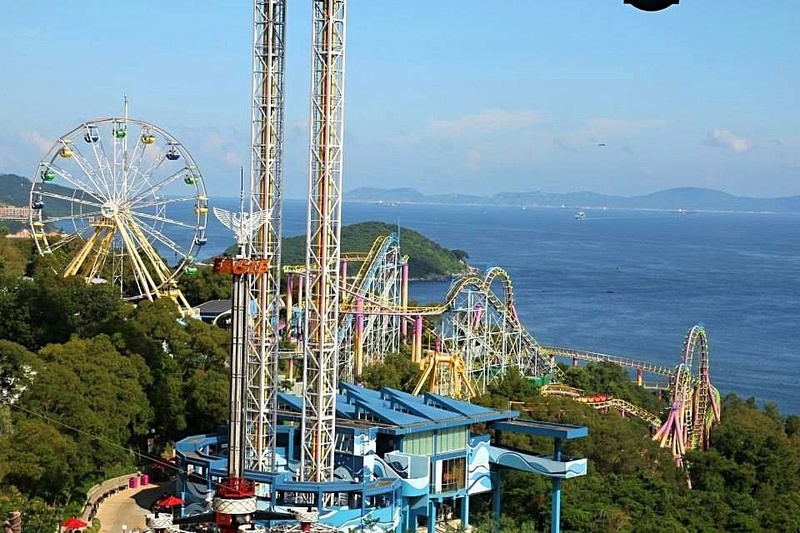 This isn't an ordinary ride for me but an attraction itself as you are able to witness a magnificent view of the South China Sea, the bays, sky, the neighboring hills and the whole park as well. This is a different Cable Car ride experience since you will be crossing the hillside (a bit scary) compared in Singapore where you will be crossing from island to island. → There are two distinct areas of the Marine World attraction zone. The areas are - the Marine Land and Headlands Ride. → In the Marine Land attraction area, you can find the Pacific Pier (rocky coastal habitat of Seals and Sea Lions), Chinese Sturgeon Aquarium (freshwater aquarium houses for the endangered Chinese Sturgeon), and the Sea Jelly Spectacular (an exhibit of 1,000 sea jellies in various shapes, sizes and colors). 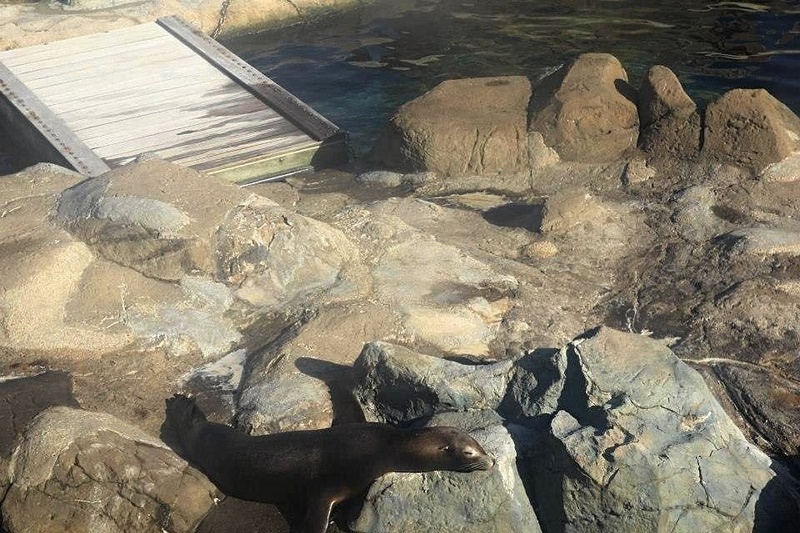 Home of the Northern Californian Seals and Sea Lions in a rocky coastal habitat themed zone. A complete simulated wave under the Pier for the Sea Lions to hunt as well as for interactive exhibits. Feeding sessions are possible in this zone. 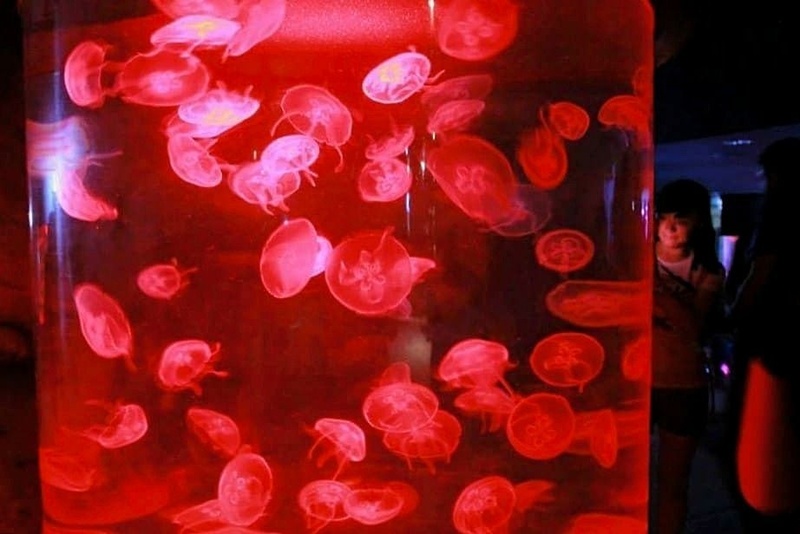 Inside the capsules are Spectacular Sea Jellies in different colors - one of the attractions in the Marine Land area. The one I caught on camera is in red color. When you're inside the underwater garden, you will be fascinated with the music and lighting effects of the area. In a virtual interactive game of hide-and-seek using the Mirror Maze, guests can touch and play the fluorescent Sea Jellies as they find their way out. → Literally, Headlands Ride Attractions are mostly ride attractions itself except for The Garden of Joy which is basically a landscaped garden with lush greeneries, flowing streams with fish Kois -- perfect for meditation. The Marine World Game Zone if you wanna try your luck to claim a prize in any of the 20 classic arcade games. As usual, we skipped this type of zone since it's all about rides but for my readers here are the rides that might interest you. 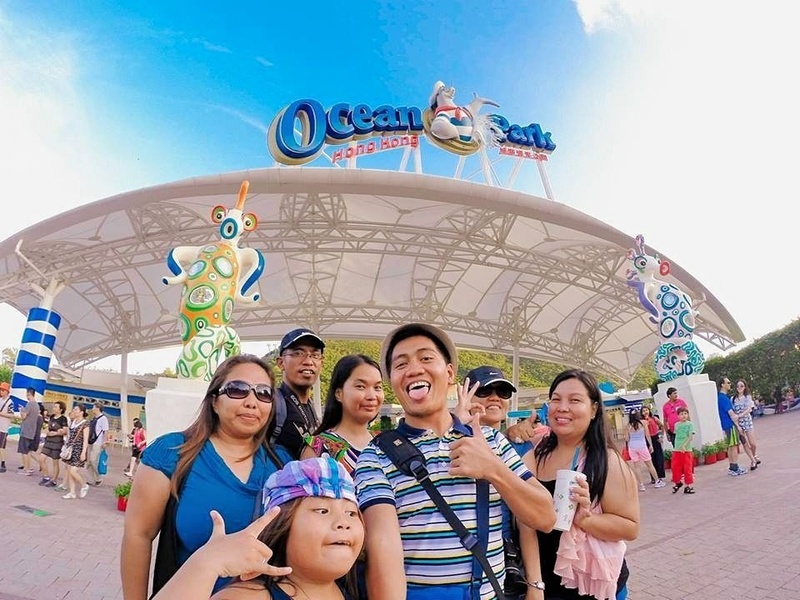 ►Ocean Park Tower - a slowly rotating observation deck that will transport you to the top of the tower and unfold a 360-degree view while rotating. ►The Dragon - the ultimate and challenging roller coaster ride in Ocean Park with a 360-degree rotation that is definitely for the most hardened thrill seekers could ever dream. ►The Abyss - not suitable for a fainted heart since you will be plunging from 20 stories high to the ground in a few seconds. → Here in Adventure Land there are only three attractions that you can enjoy. Out of the three, we tried the longest Escalator and the Raging River. The one we skipped is the Mine Train. 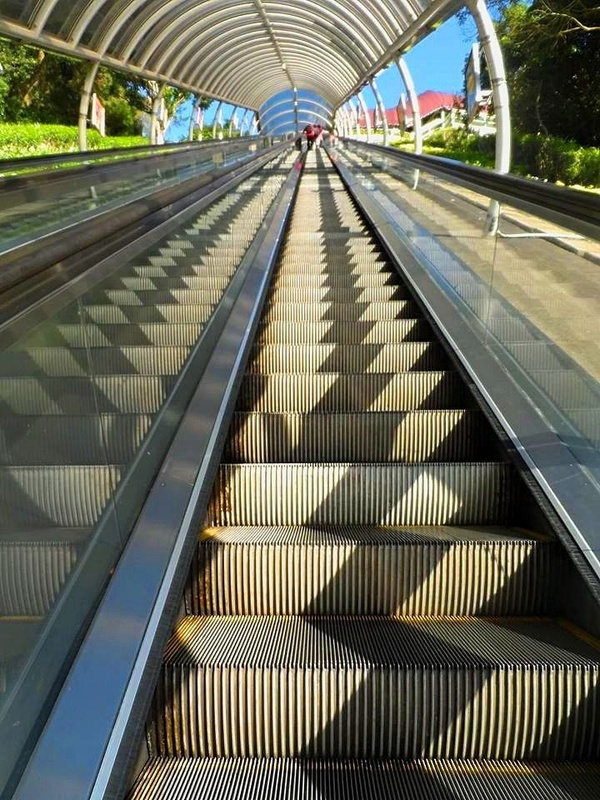 This may be an ordinary Escalator when you look at it but what differs it from the rest is that it's the 2nd longest outdoor Escalator in the world. With a length of 225 meters that connects the two attraction zones in the Summit - the Marine World and the Adventure Land. A two-way Escalator that is covered with grayish fiberglass (I think) overhead roof that will shelter the guests from the rain or the sun. But what made this Escalator an attraction is that it offers an unobstructed view of the park. For the Raging River, I never had a snap for this ride since we don't have a waterproof camera so here is a complete video of the ride from psyclonesteve for all the readers to see. This ride is about a trail journey in a log boat following a winding course, snaky slopes, narrow ravines before having a vertical drop plunge which I like most. If you can see in the video when the log boat climbs up to the steep trail, my friend and I were stuck in the middle of the trail and we were waiting for almost 15 minutes before the staff resolved the technical issues. A bit scary but it was fun. There are a lot of skipping during my Ocean Park Hong Kong - One of a Kind Marine Life Adventure. Though I skipped all the high-risk rides I still manage to enjoy the remaining attractions as well as the spectacular views. A little regret on my part but sometimes following my instincts is the best way to deal if I'm in doubt. Before we had the Raging River ride I already doubted to take the ride just by looking at the site but we still went through and what happened was -- we got stuck! There you go, that's the coverage of all the attractions in the Summit attraction area. A part two of this article will soon to follow and I will be covering the second part of the attraction area which is the Waterfront. Gusto ko rin ma try sumakay sa cable car.